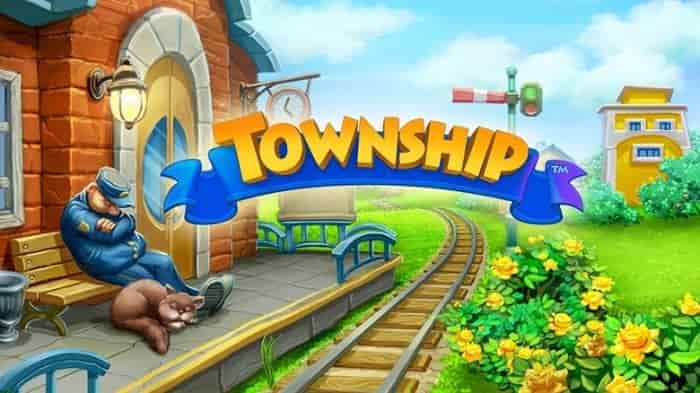 If you like city-building games, and would like to play one on the go, then Township by Playrix Games is for you. This is a free to play casual and fairly slow-paced town builder and farmer game, with gameplay elements akin to Clash of Clans or other similar games, albeit Player VS Player is not present in this title. The game plays very similarly to FarmVille or other peaceful building games, and as such, it is very relaxing and easy to play. Township is a casual city-builder with a fairly linear progression path: as you complete the various tasks and missions given to you, you earn experience points, money and Dollars. These three main resources are used to unlock new buildings. progress your town by building these and for boosting timers, respectively. In addition to constructing and placing new buildings, there is a second major gameplay element in Township: farming. Your barn is a very important building: it is the center of all trading in the game. Every player will start off with a Factory building, which generates one specific valuable resource. These kinds of resources are very important even early on, so you should team up with friends and trade these resources among each other. As farming is very important for production and trading, you should invest early on in Wheat, and keep upgrading your fields so they will be able to sustain other kinds of crops. Valuable livestock animals are also present, and you will need to take good care of them too. There is also a zoo where you can breed and show off various kinds of animals. Moreover, you will also be able to build various famous landmarks in your town, such as the Eiffel Tower. There are a lot of things to do in Township. In addition to production, you will need to keep your citizens happy and entertained. 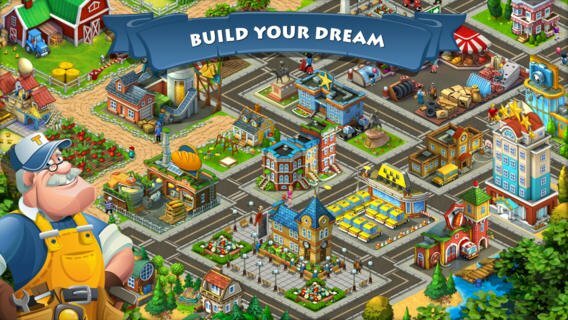 Build cinemas, restaurants, and decorations to keep your town tidy and its inhabitants happy. There is also a huge mine, from which you can retrieve various artifacts and precious minerals. And you will also need to trade with the Exotic Islands for rare resources and animals. These things will ensure that the game will keep you busy for quite a while. The graphics are quite vivid, colorful and cartoon-styled. The town you build is very detailed, and you will be able to see every single citizen as they go about their lives. You can zoom in to take a closer look and appreciate the smaller details. As a free to play title, Township fares quite well in not becoming pay to win. While yes, the Dollars and money resources can be bought with real money, this only makes your progress somewhat faster, and as there are no PVP elements in the game, there is nothing to “win”, really. You can now download Township for PC running Windows 7/8/8.1/10 or MacOS. Get the game as a free android apk download, or if your Android emulator supports the Google Play Store, you can also find it there in the free games section (read below how to download android/iOS emulator). Sometimes when playing Township, bluestacks ask you fee to pay but gives you option to download some apps. Every time it asks you just select “Install apps” and continue using it free. I hope you enjoyed this guide, please rate and share. 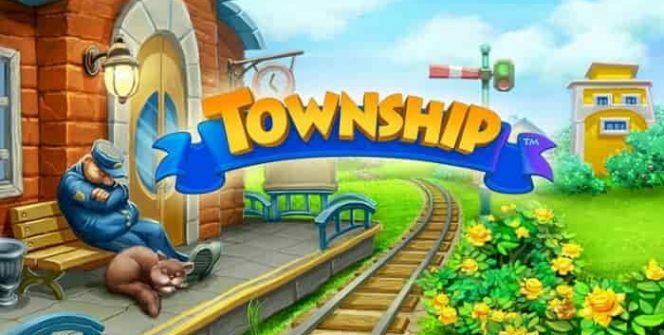 If you have problems running Township on desktop or any other issues, leave a comment below.